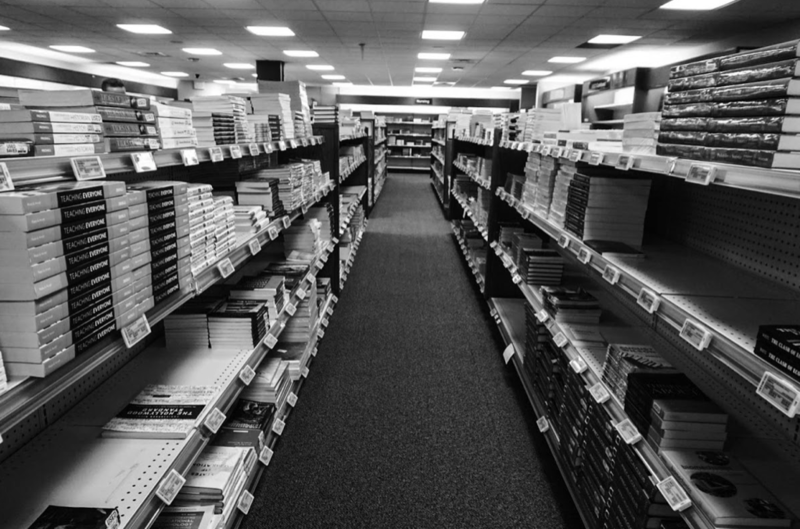 The bookstore has implemented a new classification system for textbooks this fall. Textbooks are now arranged alphabetically by author. Prior to this change, the books were categorized by class number and professor. The switch is intended to make the process of finding textbooks less stressful for students in a few ways. The new categorization system is set up to reduce congestion in certain sections of the store, and reduce the number of incorrect purchase and confusion, and decreasing instances where students may think their books are out of stock when they’re not. Bookstore employees also hope to improve internal operations by saving time and money with the reorganization. Thanks to the new software and hardware system installed this summer that supports the alphabetical order, Paul Deniston, director of Retail Services at UCCS, was able to make the change. “Many universities, large and small, have moved to this layout over the years, including local CU Boulder, CU Denver and CSU Fort Collins. Not to mention other Universities across the country,” Deniston said. Levi Venable, junior communication major and student employee at the bookstore, describes the process as a system that needs some getting used to. “I say the transition has been a little bit tough to implement, but now that it’s slowing down and people are getting used to it, it’s better overall,” he said. The new alphabetical system will save floor space by having less people congesting the same sections. The available space can now be used for offering other required class items. “[Students] who were used to the system before are still getting used to it, but we are getting less questions asked about our system,” Venable said. Along with the hardware updates and re-organization, the bookstore is encouraging students to print out their textbook lists, which are available through the UCCS Student Portal. Deniston said that students can find their textbook lists on their cell phones or by using one of the sore’s computer kiosks. Textbook lists link up students’ class schedules, providing information on the books they need for certain classes, their cost and where they can find them in the bookstore and online vendors. Two of these print-out stations are located around the bookstore for students who may need some guiding support. For more information on the bookstore, visit the store on the first floor of the University Center, or call 255-3247.